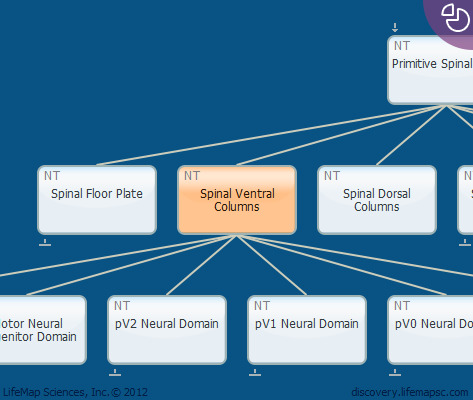 The ventral columns are regions within the primitive spinal cord that later become the motor half of the grey matter. The grey matter is the area of the spinal cord that contains neural cell bodies. Usually, ventral columns are wider than dorsal columns. Circuits involved in proprioception and motor control are largely confined to the ventral spinal cord.